As the name kind of hints, INVIGOR8 Fat Burner is a diet pill intended to help people burn their body fat. It’s one of a number of health and wellness products that have been brought to market by the California-based company Biomedical Research Laboratories (BRL). Although BRL has only been trading since 2008, the company’s products have proved to be a hit with a number of noted athletes, including the endurance cyclist Joe Barr, who became a BRL ambassador in 2012. This speaks volumes for the company’s performance-enhancing supplements, but we were unable to find any customer reviews or product endorsements that suggest BRL is equally good at developing successful weight loss supplements. What Are Customers Told To Expect From INVIGOR8 Fat Burner? Who is INVIGOR8 Fat Burner For? INVIGOR8 Fat Burner is intended to be used by men and women who need help to lose weight, but although it may be a good option for vegetarians the formulation may not be suitable for women who are pregnant or nursing a child of for people who have existing health problems or are using medication. Anyone who falls into either of the aforementioned categories would do well to seek a doctor’s approval before they commence use of this or any other product intended to speed up weight loss. What Are the Ingredients Used in the Formulation? Are the Ingredients Capable of Producing the Promised Results? Some of the claims for the product can be wholly supported. Others cannot. Research shows green tea boosts the metabolism and encourages fat burning. 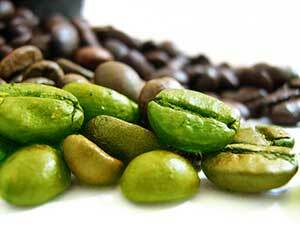 Green coffee bean can also do these things and both ingredients are rich in antioxidants that can help protect the body from disease. Raspberry ketones is a respected fat burner as well and it suppresses the appetite too, but there’s a problem here because two forms of the ingredient are available and a lot of diet pill manufacturers use a man-made version because it keeps costs down. The best raspberry ketones comes from fruit. It’s an extremely expensive ingredient to use, but it delivers far better results than the cheaper version. Unfortunately, BRL don’t state which version they are using. If it’s not the fruit extract it’s presence may not offer much benefit at all. There is a similar problem with garcinia cambogia. The best garcinia cambogia is rich in hydroxycitric acid (HCA), which has the ability to subdue hunger and prevent the formation of fresh body fat. In order to be effective, garcinia cambogia needs to be at least 60% HCA. 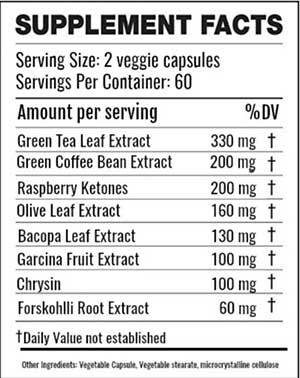 BRL don’t state how much HCA their garcinia cambogia extract provides. INVIGOR8 Fat Burner will only be capable of suppressing hunger urges if the quality of the raspberry ketones and garcinia cambogia extracts is sufficient. So, thus far, we are looking at a product that should accelerate the metabolism and help with fat burning, but may not be capable of providing the promised appetite suppression. The formulation is also unlikely to improve mental focus or boost energy levels to any noticeable degree. Caffeine is good for doing this, but the amount provided by green tea and green coffee bean is unlikely to be enough to make much of a difference. Then there’s the promise that the formulation will help with muscle building. Some studies suggest forskohlii is a testosterone booster, and testosterone assists muscle growth, so it’s possible that INVIGOR8 Fat Burner may have value in this regard. Usage Instructions – The recommended dose is two capsules, two times per day, taken 30-45 minutes before a meal, but new users are told to half the dose to one capsule, two times per day, for the first three days and monitor for tolerance issues. BRL also state results can be improved by upping the dose to two capsules, three times per day, but that would also push up the cost of using the product. Where Is The Best Place to Buy INVIGOR8 Fat Burner? The best place to buy this product is from the INVIGOR8 website. In fact, it will be the only option available to the majority of people because, although BLR products can be found on the shelves of a few stores, there are no suppliers at all in certain countries or states. How Much Does INVIGOR8 Cost? INVIGOR8 Fat Burner is priced at $49.95 per bottle (contains 120 capsules) and customers have to pay a further $6.95 to cover the shipping costs. There aren’t any bulk buy discounts available, but customers can secure a slightly more favorable price by agreeing to receive further supplies of pills via BRL’s auto-ship program. With this kind of arrangement the cost of the pills is automatically taken from the buyer’s credit or debit card each time a new shipment goes out. However, auto-ship programs can often be hard to cancel and are probably best avoided. 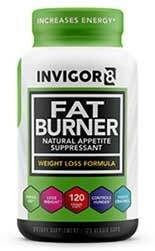 Customers who buy INVIGOR8 Fat Burner are given a 90-day money back guarantee. What Are Past Customers Saying About INVIGOR8 Fat Burner? We could not find any customer reviews. BRL doesn’t mention if any side effects have been reported but they suggest users who experience “unusual symptoms” stop using the product at once. BRL also points out the formulation contains caffeine and it has the potential to cause nervousness and irritability. However the only caffeine present will be that provided by green tea and green coffee bean and in both cases the amount provided is likely to be negligible. Although the formulation will undoubtedly speed up the metabolism and assist fat burning, it may not be capable of providing some of the other promised benefits, including appetite suppression. This a biggy because fighting huger urges is one of the most difficult battles dieters have to face. The cost of using this product is also likely to be prohibitively expensive. The usage guidelines suggest good results may require the use of six capsules per day. That would mean users would go through three bottles of pills every two months. Anyone buying one of the leading diet pill products, like Instant Knockout or LeanBean, would only need to buy two bottles in that time and all of the leading brands are capable of providing dieters with a greater level of support—including hunger control. Our preference in the fat burning category is Instant Knockout and LeanBean.